The Yankee Girl is a project boat. She has good bones and is worthy of a restoration/renovation. She received external damage in a marina fire in 2006, much of which has been repaired. All external parts have been removed for refinishing. Glass lens in navigation lights needs replacement or repair. 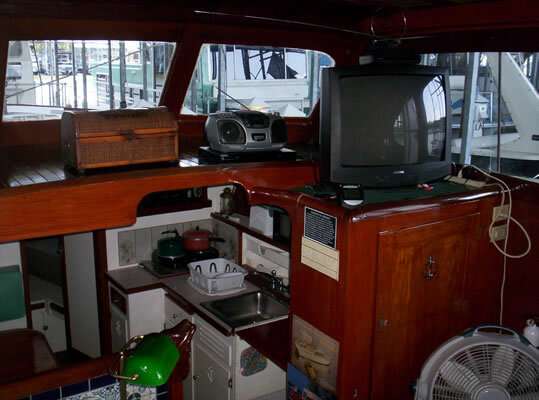 I salvaged another boat identical to this one and have many, many spare parts and/or miscellaneous parts/pieces. 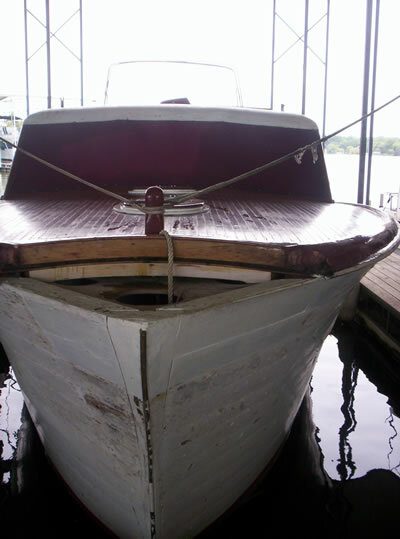 She has been in the water since 1999 and is in need of a haulout and maintenance/repairs. The Volvo Pente engines have not been run in a couple of years, but were turned over appoximately 1 year ago. New batteries and routine maintenance should get them started. Again, the Yankee Girl is a beautiful boat with great lines and was always a head turner out on the lake. Much of the work needed is cosmetic. This is a great project.